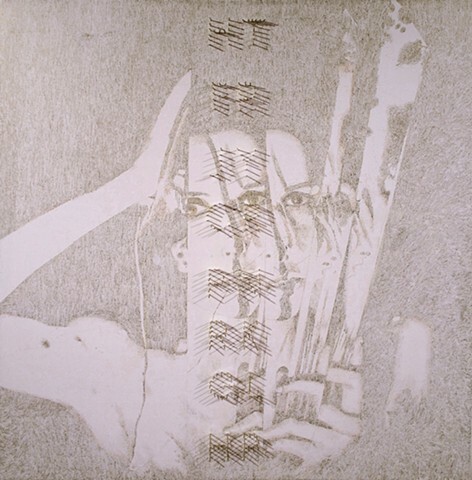 A collage by American artist Carolee Schneemann, a photographic self-portrait with multiple points of view, meets some letters taken from bisillabic words, expressing feelings and emotional and expressive states. The words eventually become mute consonants. The multiple gaze of Schneemann, like the mortal gaze of the Greek Medusa, tries to kill those words. It remains a series of aspirated and mute sounds.